Bigstockphoto.com offers over 13 million stock photos and illustrations. 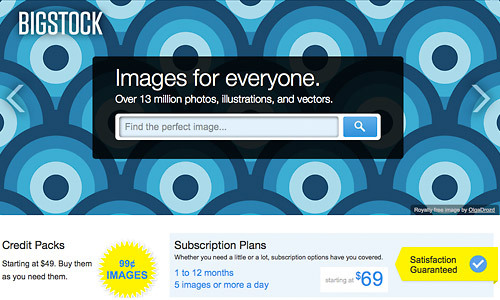 Their cheap pricing model and easy to use interface makes it the best stock photo site for budget hunters. With the latest BigStock coupon, you can save up to 25% off on credit packs and subscriptions. 15% OFF on Any Subscriptions. Limited Time Offer!!! Click here to get 35 images for FREE. Free 35 Images. Activate trial now! Big Stock Photo pricing is simple. A small photo costs only $1.96 and you get a pretty decent size of 900 x 600 px for web use. A medium photo costs only $3.92. The large image costs only $7.84 and you can use it for print materials. To save more, you can get a subscription package from $69/month and that cost only about $0.46 per image for 5 images a day. Overall it is a good place to get stock photos. As for vector images, it is priced higher than got stock agencies, so you might want to look somewhere else.